When it comes to your organization, labor costs can add up fast. Unfortunately, they often get so high that companies are forced to lay off employees and shrink bloated departments. But what if there were a different way? When it comes to hiring an employee, there’s the salary cost and the actual cost. A lot of businesses – and employees, for that matter – only think about the salary cost, but that’s a mistake. The price tag is actually much higher. According to Tony Knopp, CEO of Spotlight Ticket Management in Los Angeles, it’s as much as 18 to 26 percent higher. “Many see the salary and assume that is the number,” Knopp says. “It’s not.” In reality, an employee who gets a $70,000 annual salary actually costs around $88,000. That number accounts for social security tax ($4,340), Medicare tax ($1,015), state unemployment insurance ($478), healthcare insurance benefits ($10,119), and 401(k) benefits ($1,750). Depending on the industry and how well prepared a hire is for their position, you may also have to pay to train the employee. This is where things can get even more costly. For example, if Knopp has to train a new hire, he claims it costs him half of a year’s salary before they start producing at the right level. Then you have to consider turnover. When an employee leaves or retires, your investment essentially goes down the drain and you have to do it all over again. These numbers aren’t meant to scare you – you probably already knew that you were paying an 18 to 26 percent premium in order to keep employees operational – but they should serve as a wakeup call. If you aren’t careful, labor costs can spiral out of control and drive down profitability. Employees who specialize in certain tasks and skills generally cost employers more. On the one hand, a specialized employee might be worth the premium because of the value she brings to her position. On the other hand, too many specialized employees can drive up payroll costs and limit your company’s ability to handle different needs. One of the best solutions to reducing labor costs and improving organizational flexibility is to cross-train employees. Cross training – also known as job enrichment – entails vertical expansion of the job. In other words, you’re teaching employees how to take on new responsibilities that aren’t directly related to their core responsibilities. For example, you may choose to cross-train your product development team members to work in your call center. The short-term benefit is that you can increase your number of call center employees when you’re experiencing a surge in demand. The big picture benefit is that your product developers understand customer pain points and can use this acquired knowledge to create better products and services in the future. Every day that your company is open is another day that you have to spend money on operational costs. One practical way to save money and improve employee satisfaction is to switch to a four-day workweek. If employees normally work five 8-hour days, a simple switch to four 10-hour days could provide everyone with a three-day weekend. You may even find that you get more productivity out of your employees this way. Much of the recurring non-salary costs associated with keeping employees going are related to technology. 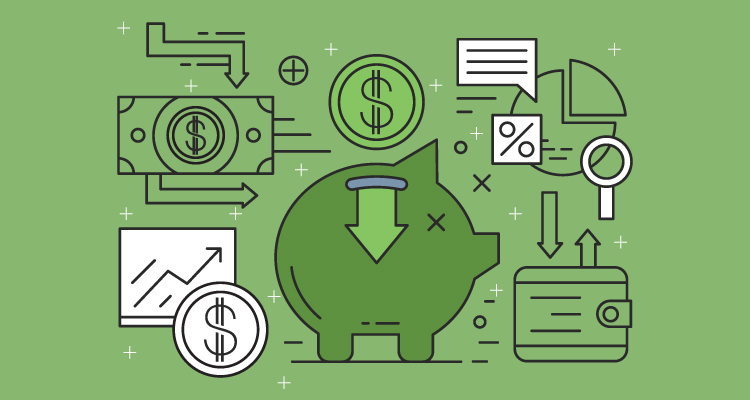 All of the devices, hardware, software, apps, and programs employees need to do their jobs efficiently can cost a significant amount of money if you aren’t careful. If you can find a way to reduce these costs, you’ll stand to save a considerable chunk of change. Let’s look at smartphones and cell phone plans as an illustration of how the right technology can make all the difference. In organizations that provide employees with company phones, one of the biggest costs is data. If employees go over their data limit, they can quickly rack up charges and increase your expenses. One solution would be to sign up for a network that allows devices to automatically switch to a Wi-Fi call when there’s an available network. If you have lots of employees, this could potentially save you thousands of dollars per month in overages. Another option would be to allow employees to bring their own devices to work (BYOD). A BYOD policy reduces the burden on your IT department to supply devices – such as laptops, tablets, and phones – and enables employees to use the platforms they’re most comfortable with. When demand increases and companies need help, the natural inclination is to post a job opening and look for a full-time employee. What you’re probably forgetting is that outsourcing is an option. According to research, a company can save as much as 60 percent in operational costs by outsourcing a job to a qualified professional. That’s a tremendous amount that could save your business tens of thousands of dollars per year. The key is to know when to outsource. Certain jobs make more sense than others. For example, most companies wouldn’t want to outsource core tasks like product development and sales. You want people who know your company from the inside-out to handle these responsibilities. However, it can be cost effective to outsource things like call center answering, consumer research, administrative tasks, and even SEO and digital marketing. Along these same lines, there’s always the option of paying existing employees overtime to cover for an increase in demand. Sometimes it makes more financial sense to pay overtime rates for a period of time, rather than onboard an employee who requires training and might not be needed in six months. BMO Harris Bank points out six specific ways companies can improve employee retention rates. They are as follows: (1) offer competitive salary and benefits; (2) clearly define job description and goals; (3) invest in training and continuing education; (4) make sure employees see opportunities for advancement; (5) recognize employees for a job well done; and (6) encourage two-way communication. There are plenty of things you can to raise your employee retention rate, but there will always be vacancies here and there. That’s just the nature of business. How you handle these openings could drastically lower or increase your labor costs. One cost-effective strategy is to promote from within whenever possible. Promoting from within is more cost-effective than hiring from outside for a number of reasons. For one, the employee already understands company culture and doesn’t have to go through an adjustment period. Secondly, it encourages other employees to work harder so that they might eventually have the same opportunities for advancement. This boost in morale typically leads to greater output per employee. While you won’t always have someone who is capable of being promoted, keep your eyes out for future replacements and let employees know that they’ll always be given a fair chance to move up. There are two ways to view labor costs. The first option is to look at employees as barriers that stand in the way of profitability. In other words, every penny you pay an employee is a penny less that goes into your ebank account. The second option is to look at employees as an investment in human capital. In order to increase revenue, you have to hire the right people. The better people you bring on, the more likely that you’ll improve the bottom line and grow your bank account. It’s important that you view your employees through the latter lens. Employees are an investment and you need to make sure they’re bolstering the bottom line. However, it’s also true that every penny you spend on an employee is a penny less in profit. In order to balance these concepts, you must find ways to cut down on labor costs without compromising the quality of employees in your organization. The strategies and techniques mentioned in this article should serve as a launching point as you seek to reduce labor costs and maximize employee efficiency and output. Continually reevaluate your situation and don’t be afraid to try something new when you discover that a particular technique doesn’t work for you.